The holidays are a unique time of year for recovering addicts. The added pressures of family obligations, parties to attend and the loneliness that can creep into your life can make a relapse a real risk. JAMA reported that relapse rates for addicts in recovery are as high as 60 percent in some cases. As recovering addicts will know, relapse does not mean that the recovery has failed, but rather that there has been a slip in the progress. How to deal with relapse that occurred during the holidays is often about returning to what worked before and strengthening your resolve through increased counseling and support group meetings. In this article, we will explore how to deal with relapse after the holiday rush has settled down. The holidays are an unusual time as far as routine goes. Everything you do is out of your normal routine, such as visiting with family, going on holiday or spending more time at home than usual. Early in recovery, a patient is taught how to create a healthy routine and stick to it. However, the holidays can break a routine such as going to regular support group meetings and your usual days spent working. How to deal with relapse in such a situation is about getting back into your normal routine. Go to meetings regularly again and set up frequent meetings with your counselor. While the holidays can be a time for people to get together, it can also be a time where you can fall out of touch with supportive communities. There is disconnection for some people during the holidays from such communities causing the normal support systems to not be as effective. Addicts are taught how to deal with relapse in recovery programs through the support of these groups. Drug or alcoholic relapse after long term sobriety is not something that anyone wants to repeat. As such, it is important to identify the cause and understand why it caused you to relapse. 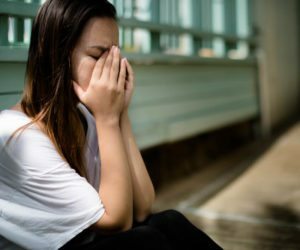 There are many more holidays ahead and understanding the reasons why the relapse occurred can help you to prevent the situation in the future. Maybe you decided to accept an invitation from a drug-abusing friend or maybe you needed to reach out sooner. Whatever the reason, how to deal with relapse in the future can be about learning from a holiday relapse event. One of the ways on how to deal with relapse in recovery that is explained in treatment is to make use of sober living environments. These are places where drug and alcohol abuse is prohibited and all people staying in the homes must adhere to the strict house rules that were created to promote sobriety. Drug and alcoholic relapse after long term sobriety sometimes need a firmer approach that sober living can provide. This can be the ideal place to reestablish the right routines and get yourself away from environments that are no longer conducive to recovery, at least for the time being until you feel committed to sobriety again. The longer you wait to find help for a relapse, the worse the situation will become. One of the ways on how to deal with relapse effectively is to find help as soon as possible. The longer you wait, the more old habits return that you fought so hard to break. Get in touch with a loved one who is aware of your recovery or with a rehab center immediately.